Within Teamwork Projects, you can export invoices from the billing section of your projects to Blinksale. 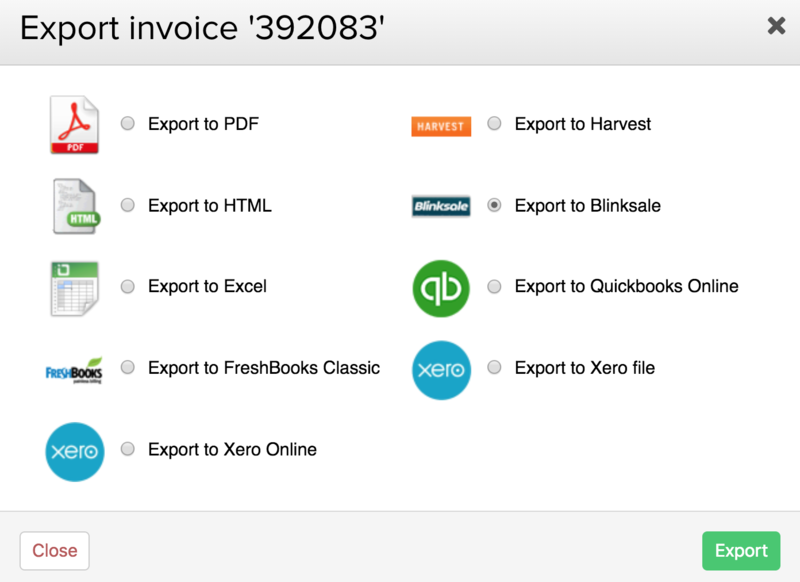 Once you have created an invoice, use the Export Invoice link at the bottom of the invoice details. In the Export options modal, select Export to Blinksale. The first time you do this, you will be prompted to log in to your Blinksale account. You can choose a company to associate the invoice to, and set the number of days for the payment due. 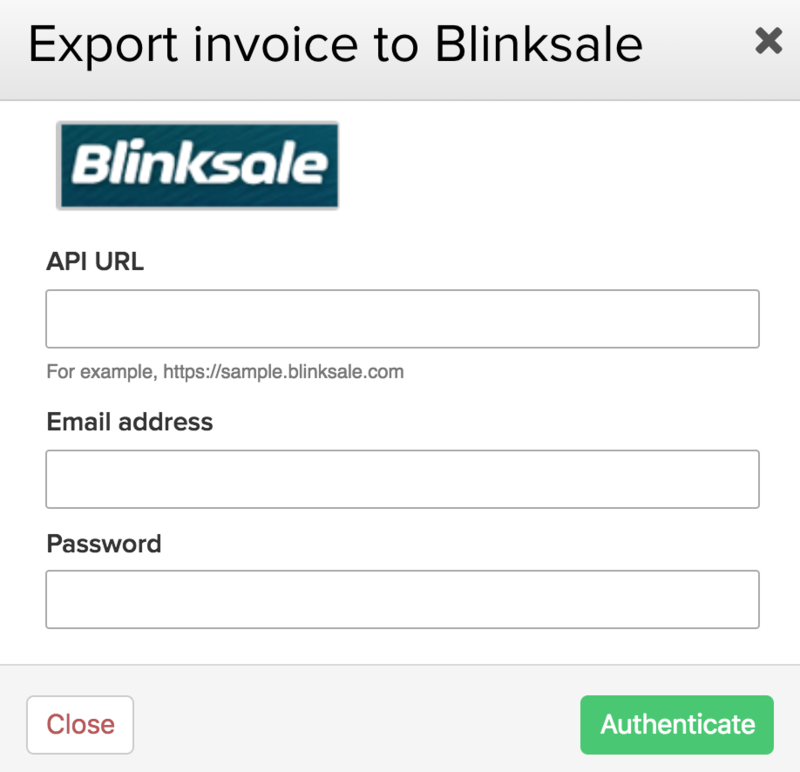 When you have completed the export, your invoice will be available to select within your Blinksale account, ready for you to send to customers.